While welders and machinists have some apparently similar duties, there is a significant difference in their job descriptions. The common confusion is understandable, because of the traditional assumption that their tasks and training are similar. However, welders, cutters, solderers and brazers have more specific and limited responsibilities than machinists. The complexity of new technology and systems has changed the historical methods of learning valuable trade skills. Most employers these days demand that applicants have a solid educational foundation. You can accomplish this by completing a well-rounded skilled trades training program at a vocational school. The training for welders and machinists demonstrates the difference between the two professions. Tulsa Welding School, with campuses located in Oklahoma, Florida and Texas, seeks to give students all the education they need to understand and apply the common duties of a welder. The majority of study time is devoted to practical hands-on welding training, with a minimum of theoretical classroom instruction. Students learn a variety of welding duties and techniques. They learn the differences between structural, pipe, aircraft, and pipeline welding and the difference between SMAW, MIG, TIG, High Frequency TIG, and Fluxcore welding. This prepares graduates to have a valuable background in multiple welding methods and techniques. While machinists may need to learn basic welding techniques, their study can also include operation of computer numeric control (CNC) equipment, more traditional tool and die mechanical machinery, some math classes and use of common equipment, such as power grinders, die maker tools, presses and calipers. This diverse education prepares machinist graduates to either generalize or specialize in the future. For example, machinists may focus on CAD-CAM (computer-aided design and computer-assisted manufacturing) or electro-mechanical technologies instead of tool-and-die generalization. Both welders and machinists earn good salaries in a wide variety of industries. According to the US Bureau of Labor Statistics ((BLS), 1 welders and machinists may face slower than average job growth (about 6 percent) through 2022, getting the proper education foundation will help both specialists enjoy decent job security. Both welders and machinists need a minimum high school diploma to get entry-level jobs. 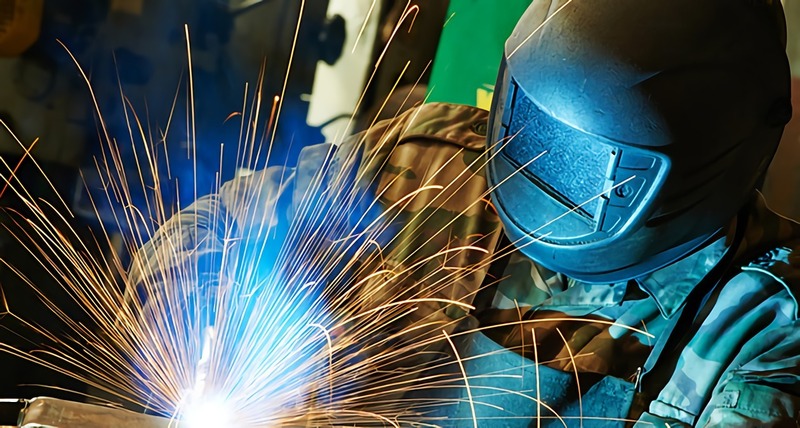 However, most career observers recommend that new welders should definitely take advantage of postsecondary welding school to get the educational background that gives them knowledge on the latest techniques and equipment. Prospective machinists should focus on getting additional education, taking useful machinist-related courses at technical schools. Students who have an industry preference, such as automotive or aerospace, should focus on study that offers more specific courses on the industries they favor. Prospective welders may choose to focus on a professional welding certificate or welding degree, with courses for a variety of industry-specific welding techniques. Similarly, machinist students may choose to take courses related to computer-controlled and more traditional mechanical equipment. According to the BLS, median salaries for both occupations are close. Welders earn around $36,000 per year, however, welders with more schooling and experience can earn more. Machinists 2 earn a bit more with median pay (as of 2012) at about $41,000 annually. According to the Milwaukee Business Journal, both welders and machinists earn “respectable” earnings. While entry-level compensation is similar for both occupations, just over $30,000, salaries increase for experienced workers. Welders with experience average over $46,000 per year, while veteran machinists average over $54,000 annually.